Union Dissolution Day is an official flag flying day in Norway observed on June 7 each year. It celebrates the dissolution of the union between Norway and Sweden in 1905. Norway entered into a personal union with Sweden at the Convention of Moss that ended the Swedish-Norwegian War. The cease fire agreement was signed on August 18, 1814. On November 4, 1814 the Norwegian Parliament elected Charles XIII of Sweden as king of Norway. 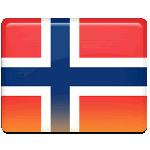 Norway retained its own parliament, judiciary, and executive powers. Originally, there were no disagreements between two peoples, and kings of the United Kingdoms of Sweden and Norway tried to equally protect the interests of both kingdom. However over the years, it became apparent that there was a great divergence of Swedish and Norwegian interests. In 1905 member of the Norwegian Parliament Christian Michelsen formed a coalition government. The government passed the law to establish a separate Norwegian corps of consuls. The king refused to accept it, so on June 7, 1905 the parliament voted to dissolve the union. On Union Dissolution Day, the state flag of Norway is flown from public buildings. Civilians are encouraged to display the national flag as well. Since it is not a public holiday, no large celebrations are held on the day.